“Pedestrian struck and killed on Orlando road.” Sadly, a version of this headline appears almost every week in our local media. Car vs. pedestrian events are tragedies that lead to finger-pointing and blame – drivers, pedestrians, lights, environment, and everything in between. The truth is, there are multiple factors at play in every accident, and we are all to blame for our #1 ranking as the most dangerous city to be a pedestrian. our focus while either driving or walking? Chances are the answer is yes. So how do we fix it? Best Foot Forward is solving the problem through education, engineering, and enforcement. 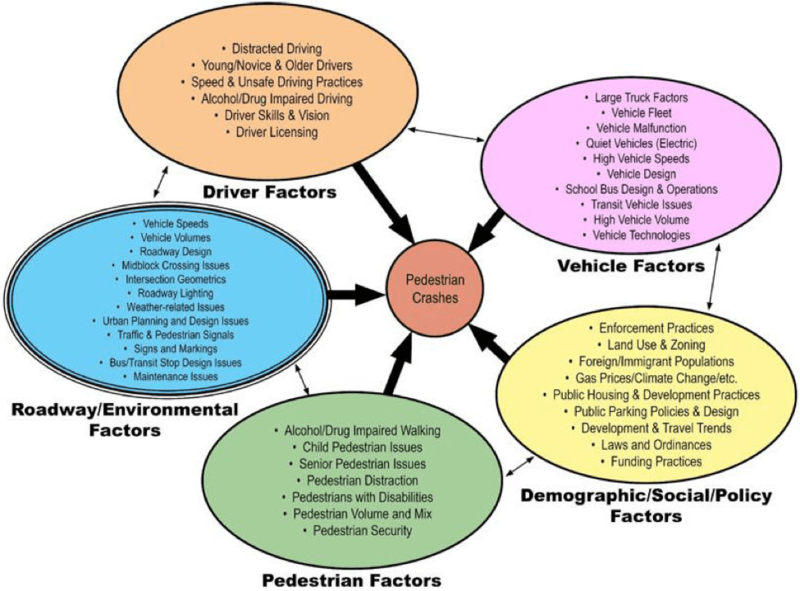 This comprehensive approach addresses each factor outlined on this diagram, recognizing that pedestrian crashes require a behavior change on the part of both drivers and walkers.